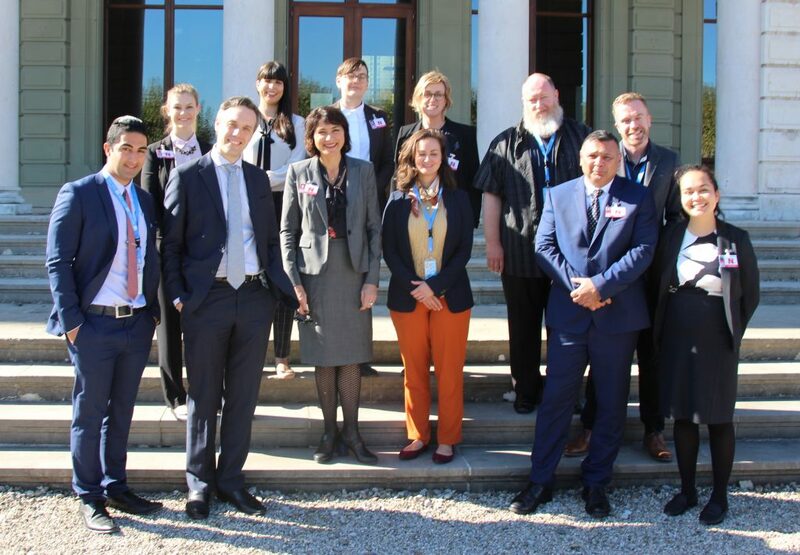 In October 2017, DPO Australia joined a delegation of non-government representatives in Geneva to brief the UN Human Rights Committee – the panel of independent human rights experts tasked with assessing Australia’s adherence to the International Covenant on Civil and Political Rights (ICCPR). The review took place at the Office of the United Nations High Commissioner for Human Rights in Geneva, Switzerland, during the Human Rights Committee’s 121st Session 16th October to 10th November 2017. In addition to several formal and informal briefings with Committee members, the delegation presented a shadow report on Australia’s implementation of the ICCPR, and met twice with the Australian Government delegation. Ngila Bevan​ and Christopher Brophy​ represented the four Disabled People’s Organisations Australia (DPO Australia) members in Geneva – Women with Disabilities Australia, People with Disability Australia, First People’s Disability Network, and National Ethnic Disability Alliance. We have provided a brief report on the DPO Australia’s representation at the ICCPR review below. The report includes a breif overview of the United Nations treaty body review process, a brief overview of the delegation’s activities, and copies of formal statements made by the delegation to the Committee. The Human Rights Committee released their draft Concluding Observations on Australia’s Compliance with the ICCPR on 9th November 2017.